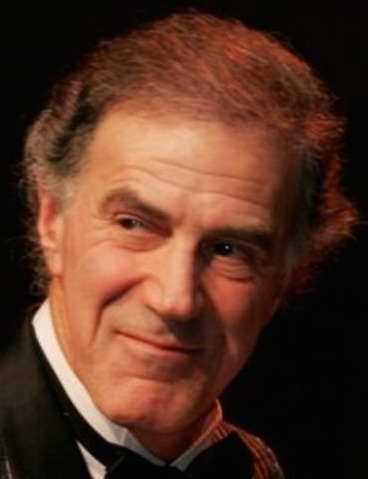 Allan Zavod is an Australian pianist, composer, jazz musician and occasional conductor whose career has mainly been in America. Zavod completed a music degree from the Melbourne Conservatorium, University of Melbourne in 1969. His talent as a pianist was recognised by Duke Ellington, who arranged for him to study at the Berklee College of Music, Boston – where Zavod was later a professor of music. In his career Zavod has collaborated with some well known international musicians such as Duke Ellington, Cab Calloway, George Benson, Eric Clapton and Frank Zappa, as well as Australian musicians James Morrison, Kate Ceberano and Judith Durham. He has performed for the Queen, the Prince and Princess of Wales and several Heads of State. Zavod was based in the USA for 20 years where he played, toured and recorded with some of the world's biggest names like the Glenn Miller Orchestra. When he wasn't on the road he scored more than 30 US and Australian films and TV shows. Zavod was a pioneer in a compositional style that combines classical and jazz genres, where musicians from both worlds share the same concert platform equally. Zavod's symphonic works have been performed by orchestras in Australia, Europe and the US. As a film composer Zavod has scored over 30 films including a movie with Eric Clapton. The University of Melbourne awarded Zavod the Degree of Doctor of Music in recognition of his international achievements as a composer. Zavod recently received an award from the Australian Composers Guild in recognition of his work in Jazz/Classical composition for which he is considered to be at the forefront. Allan Zavod's new work Flurry was premiered in PLEXUS: Progressions on 1 July 2015 at the Salon, Melbourne Recital Centre. Flurry, a work for violin, clarinet and piano composed especially for PLEXUS, is a tribute to the steadfast courage of Major Doctor Frederick Miller Johnson and all those who served at Lone Pine Gallipoli during the dreadful events of the First World War. Having had the honour to participate in the 2015 centenary Anzac commemoration performing at the Dawn Service on board ship in Anzac Cove Gallipoli, I now more fully understand the heroism that ensued as tragedy unfolded. The opening theme of Flurry consists of a series of incessant piano chords in a jazz minor mode, representing the action of battle within the highly volatile environment at Anzac Cove in 1815. Growing out of these assertive opening piano chords we hear a rather obscure shaped melody from the violin and clarinet that speaks of the uncertainty of war where anything could happen at any moment….as it did in the case of our hero Dr Major Johnson who, along with the men he was attending, were suddenly and unexpectedly killed at the very location where the forthright Johnson had established an improvised aid post. Inevitably the mood of the piece changes to melancholy honouring the ANZACS that lost their lives at Gallipoli. The unrelenting jazz influenced piano chords heard at the opening of the work now transcend into beauty and meditative harmony preparing for an alluring violin and clarinet duo. Gradually the piano recaps its syncopated chords from the opening, now portraying the ever present danger of the times. However the vibe soon turns to a lighter note as a reminder of the human spirit seeking humour and mateship even in the worst possible circumstances. The violin plucks out a conga drum riff joined by a rocky piano bass as both instruments create a lively accompanied for a Benny Goodman inspired clarinet solo. Action in battle returns with a final echo of the opening theme this time building to a rousing coda ending the work on a courageous note….. as a salute to the enduring gallantry of Dr Major Miller Johnson and the many men who gave their lives for a better future. We remain forever grateful : Lest We Forget.